Hi, I had a great time recently with my friend and Stampin' Up! Team member Lucy Tustian at a Craft Fair within the Dogs for Disabled Fun Day which was held at Stoneleigh House in Warwickshire. We met some lovely people there, and there was plenty going on to entertain us between crafting sessions. 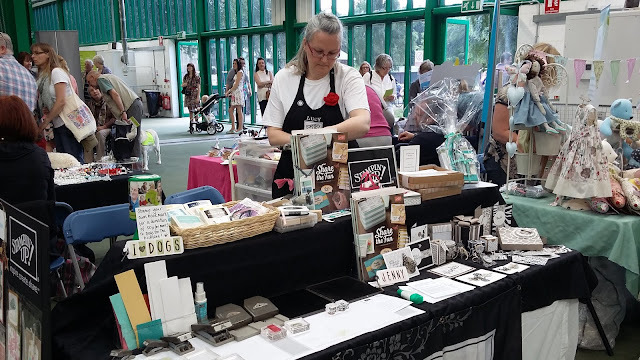 We had a make and take opportunity, where visitors could make a customised bookmark to take home; a prize draw of Stampin' Up! goodies, won by Helen in Surrey and some kits available to purchase at the event. and the Make and Take area on the left hand side. If you were a visitor to our stand - thank you for popping by to say hello. 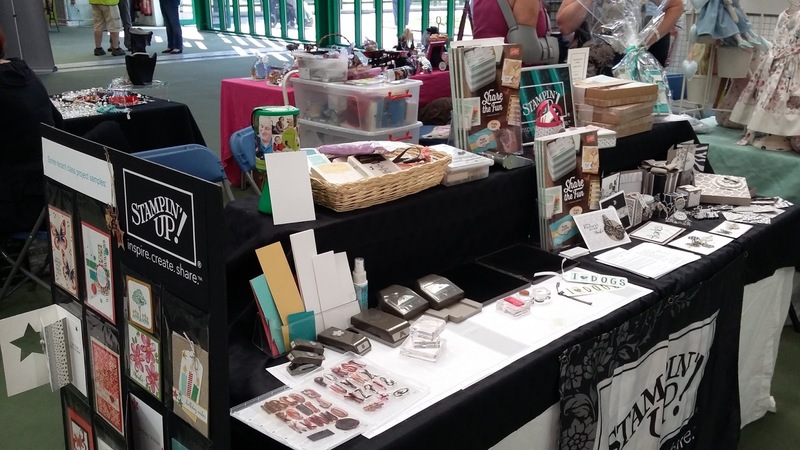 Hopefully we will see you at a future class, workshop or craft fair.